Being one of the reputed organizations in the market, we are engaged in providing an exclusive range of Metal Grinding Machine. 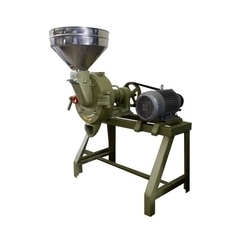 Chili paste grinding machine is made of high quality stainless steel with reasonable price. Good stable performance in processing, good flavor and nice color for the final product. - Suitable to the following materials; High efficient, stable performance competitive price. Metal Grinding Machines Manufacturers Tools & Machinery well known as metal grinding machine manufacturers. we provides vast array of tool and cutter grinders that are designed to excel. Our durable, versatile tools sharpen variety of tools and cutters and ideal for mass production..
Riat Machine Tools Pvt. Ltd.